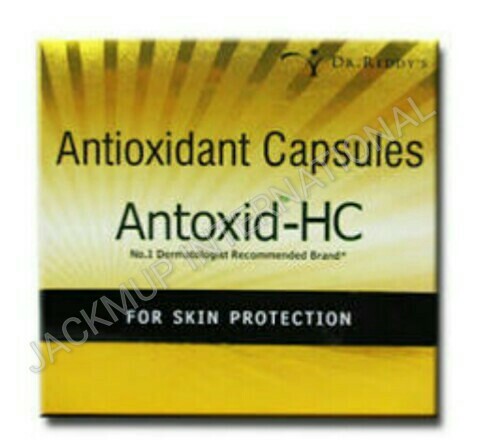 Description:- Antoxid HC is an antioxidant capsules contains Beta-carotene, Copper, manganese, Selenium, and Zinc sulphate. Beta-carotene is a provitamin of vitamin A which is responsible for improving vision, proper functioning of the skin, development and functioning of the layer of skin known as epithelium. Beta-carotene is a very powerful antioxidant which kills the free radicals and reduce the oxidative stress, which may damage the structure of cell membrane and cause uncontrolled cell division. Beta-carotene accumulated in the skin protects it by absorbing sun radiation.